Delicious NEW recipes from Rodelle! You’re going to love the variety of our newest recipe additions. We love indulging in a daily sweet-tooth and the next 4 recipes our our newest ways to partake. 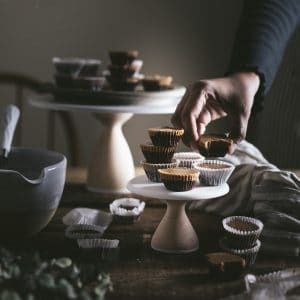 We’ve even balanced out all the “naughty” with a low-carb, keto-friendly cocoa almond butter cup that you wouldn’t know borders on good for you! Read on for recipes from cocoa almond butter cups to over-the-top indulgent butterscotch chocolate layered cookie bars! And, be sure to check back on our recipe page in the coming weeks for even more new recipes! 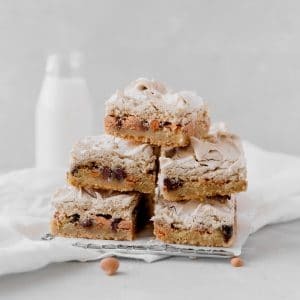 These Butterscotch and Chocolate Cookie Bars are a unique addition to any cookie jar, cookie plate or potluck contribution! There’s a traditional vanilla cookie base, a layer of yummy butterscotch and chocolate chips, and a brown sugar meringue topping that will have everyone going back for seconds! The three layers are a tango of flavors and textures that work beautifully together. For instance, the lightness of the meringue topping balanced out the richer cookie base and butterscotch chips. Similar to a seven layer bar, without the coconut, these are a new favorite at Rodelle! Smooth, refreshing, delicious, an oh-so charming! Super easy with just a few ingredients makes this a go to treat for any girly celebration! With so few ingredients, make sure to choose the best quality – the flavors of the vanilla bean, grenadine and even club soda affect the finished beverage! 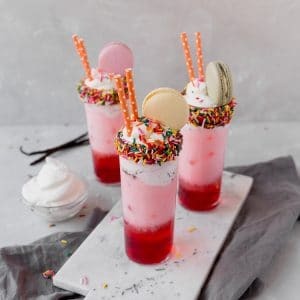 Don’t skimp on this fun mocktail!! These little treats are perfect for your mid-afternoon or late night chocolate cravings – they hit the spot and taste fabulous! Not to mention, our chef developed this recipe to be Paleo and Keto friendly! If you’re looking to satisfy a sweet-tooth and stay on track, this recipe is for you! We packed the vanilla flavor into this cake! 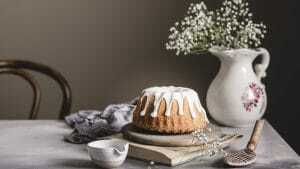 With vanilla beans and vanilla extract in the cake, you will both see and taste the vanilla. And, the vanilla glaze comes together easily with even more vanilla flavor. The crumb is light and airy – more so than the traditional pound cake. Use your favorite Bundt pan, skip the glaze and use powdered sugar, whatever you do to make this your own, make it now! This recipe comes from Rodelle Brand Ambassador Kelly Lynn’s Sweets & Treats! A classic lemon bar: Homemade lemon curd on a buttery shortbread crust, made with sweet Meyer Lemons and baked in a 9×13-inch dish. 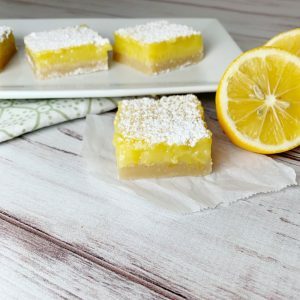 Kelly added lemon into these bars three ways to make the ultimate lemon bar: fresh lemon juice, lemon zest and lemon extract. This is a super easy recipe to make, using just two bowls and a spoon!